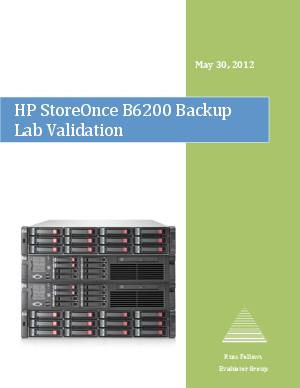 White Paper Published By: Intel Corp.
Evaluator Group worked with HP to access the features, performance and enterprise capabilities of the HP StoreOnce B6200 Backup system. HP labs and equipment were utilized, with testing under the direction of on-site Evaluator Group personnel. Testing focused on validating high availability features, performance, and application integration.